Michael Howard Wolf has garnered tremendous experience over his 40-year career in representing all types of clients within the gaming industry, all over the state of Florida. Along with our extensive history in the gaming industry, we have been able to acquire a huge network of contacts across the globe. Our experience and network are both consistently used to effectively tackle the problems experienced by investment advisors, gaming executives, software and internet development companies, gaming equipment distributors and manufacturers, and every other party involved in providing products and services to the gaming industry. Michael Howard Wolf Law Firm understands how highly competitive the gaming industry is, which means that you need to hire an attorney who is a proven expert in gaming law. Located in the heart of Fort Lauderdale, Florida, with the accessibility to travel across the state of Florida, Michael Howard Wolf Law Firm is ready to handle any situation you have beyond your expectations. The United States of America has seen unprecedented growth in the gaming industry, which has created a myriad of lucrative business opportunities. However, it’s important to note that the gaming industry has also been under scrutiny with strict regulations, which has made it an industry where there is barely any margin for error. With over 40 years of experience in the gaming industry, Michael Howard Wolf Law Firm has built a solid reputation and has become the top choice for clients searching for attorneys in the gaming industry. Our vast timeline of successes and our broad network of contacts in the gaming industry is unparalleled. Whether you are establishing a new venture or are wanting to expand your current business or have encountered issues along the way, it is imperative to retain an expert gaming lawyer to guide you through this process. There are so many people who go into the gaming industry without an attorney, and it ends in them making irrational decisions that become extremely costly. When it comes to gaming regulations and law requirements, you will seldom find a lawyer as experienced as Michael Howard Wolf. Furthermore, Michael Howard Wolf Law Firm pays close attention to this endlessly evolving world to stay up-to-date with laws, regulations, jurisdictions, and anything else that has to do with the gaming industry.  One of the great aspects of choosing Michael Howard Wolf Law Firm is that our gaming clients always receive unending advice and counsel in various areas such as construction and development, regulatory and licensing issues, tax and financing, intellectual property issues, labor and corporate issues, and litigation. Michael Howard Wolf Law Firm represents investment advisors, gaming executives, software and internet development companies, gaming equipment distributors and manufacturers, and any other party involved in providing products and services to the gaming industry. Whether your gaming business is large or small, and no matter how big or small the issue is, Michael Howard Wolf Law Firm is more than capable of successfully handling the situation. Michael Howard Wolf, expert gaming law attorney in Florida, knows and understands the inner-workings of the relationships that exist between the federal, state, and local governments. With this clear understanding, we have ensured that we maintain healthy working relationships with people and agencies all over Florida, including law enforcement agencies, regulatory agencies, municipal governments, and any other party that can proactively assist us in helping our gaming industry clients. Michael Howard Wolf is more than prepared, with over 40 years of experience and countless contacts, to successfully represent his gaming industry clients before commission boards, regulatory boards, and advisory boards. We also know that it is our duty to assist our clients all the way through the process of licensing structures, from the start of the application to the end of the regulatory hearings. One aspect of gaming law is dealing with Chapter 849, Florida Statutes, otherwise known as Florida’s Gambling Crimes Chapter. Michael Howard Wolf has handled hundreds of cases at the state and federal levels dealing with criminal cases arising from law enforcement’s misconception about the legality of the businesses. Michael Howard Wolf has litigated several high-profile cases locally, and his track record of success in this field is widely known amongst those in the industry. Michael Howard Wolf Law Firm represents any operators within the gaming industry, regardless of which stage of their business they are in. With over 40 years of experience in gaming law in Florida, Michael Howard Wolf ensures that his clients are adequately advised on matters such as litigation avoidance, civil litigation, regulatory compliance, licensing, employment and labor issues, and intellectual property matters. Moreover, we also thorough assist our gaming industry clients in their financing (which is complex in nature), which includes leases, loans, joint ventures, partnerships, and multi-million-dollar investments. Regardless of where you are in your gaming business, it is imperative that you retain an expert gaming lawyer, so call Michael Howard Wolf today. He will ensure that you receive the best legal services that will save you time, money, and the overall headache that comes with the gaming industry.